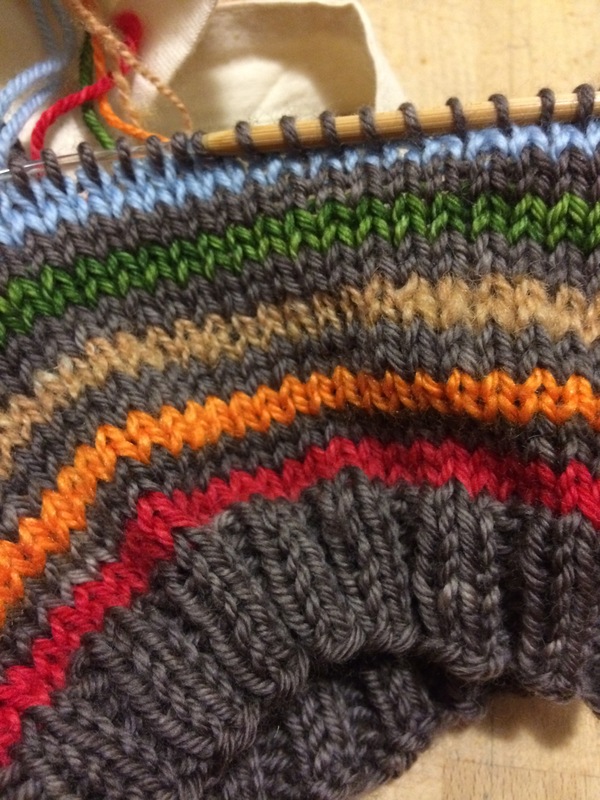 So, for my second Magic Coffer Baby hat, I wanted the stripes to be in rainbow colors, using bits and pieces from my stash. The closest I have to yellow is some of my handspun. I thought it might be close enough, but it isn’t. The other yarns are so bright, and the handspun is rather dull. 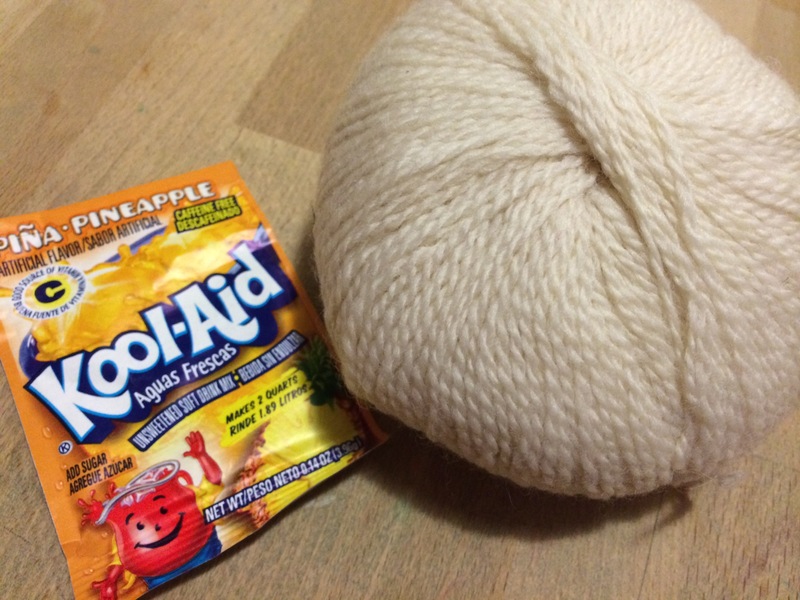 Happily, I found I still had some piña agua fresca from a while back when I was doing done kool aid dyeing, plus a good amount of cream colored yarn. Voila! 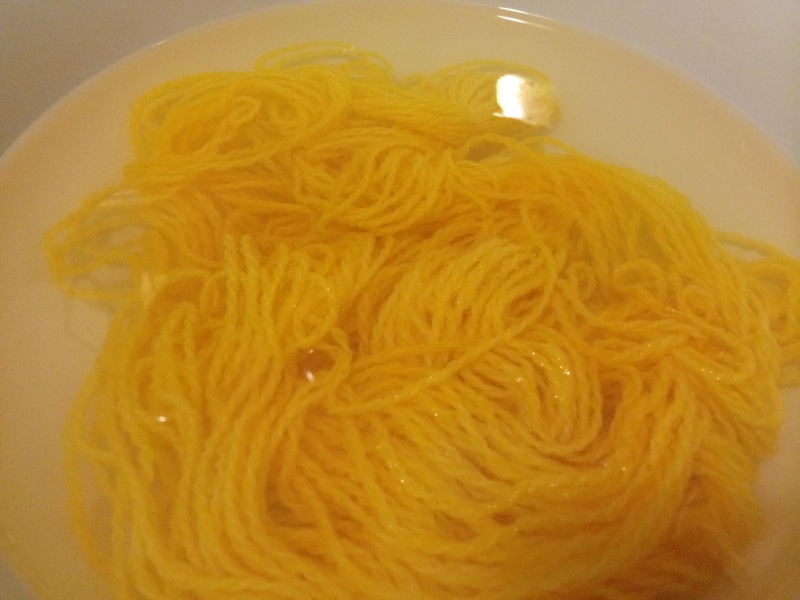 Yellow yarn! (Sorry for the poor photo!). It should be dry enough to knit tomorrow. In a way, I’m glad for the setback because I realized I only have 3 evenings to complete my spinning goal! Off to the wheel!